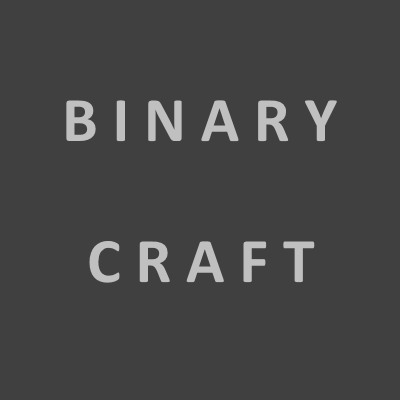 BinaryCraft is a mod with a miscellaneous selection of blocks, machines and items that I want to have in my modded Minecraft gameplay. I'll be slowly adding more features to this mod as time allows. The items in the mod are fully configurable. If you want to know the receipes for any of the blocks or items in the game, please consult the JEI mod in game (or refer to the source code). The fan block is a passive block that is able to push mobs and players in the direction in which the block is facing. It's an ideal block to use in a mob farm, to push mobs to their death. The blocks can be stacked in front of each other to increase the push force. The block can be disabled in the config, and the range of effect of the block can also be altered. A feature that causes nearby mobs to become scared when another mob (or player) is attacked. This feature can be disabled in the config, and you can also tweak the range of effect in the configuration file. As an added extra, you can optionally enable a setting that causes other aggressive mobs that are in range to take exception to the perpertrator.